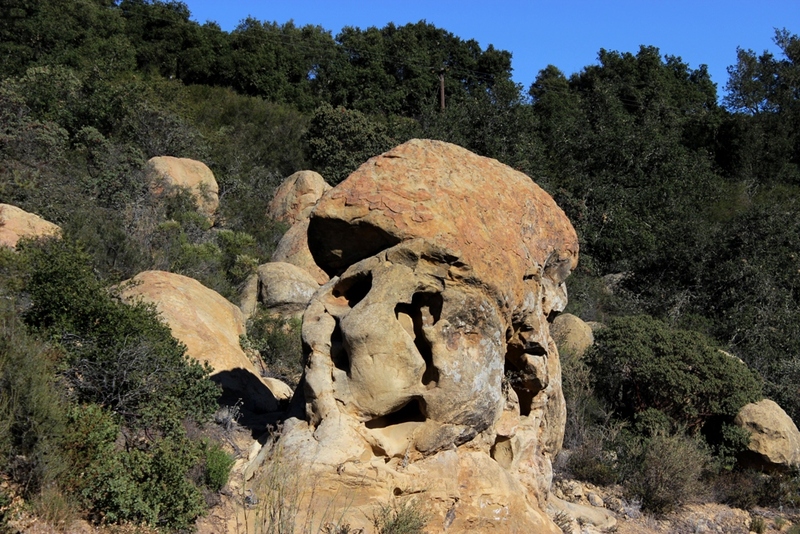 The sentinel of West Camino Cielo Road in the Santa Ynez Mountains, Santa Barbara County. This entry was posted in Santa Barbara County and tagged Caves, Nature, Outdoors, Photos, Pics, Rocks, West Camino Cielo. Bookmark the permalink. A single rock worth capturing, ima go! It looks like a skull. Yeah, it has that sort of face or skull-like look to it. I’ve long thought the top looked somewhat similar to a mushroom cap.